A rendering of The General Storehouse. 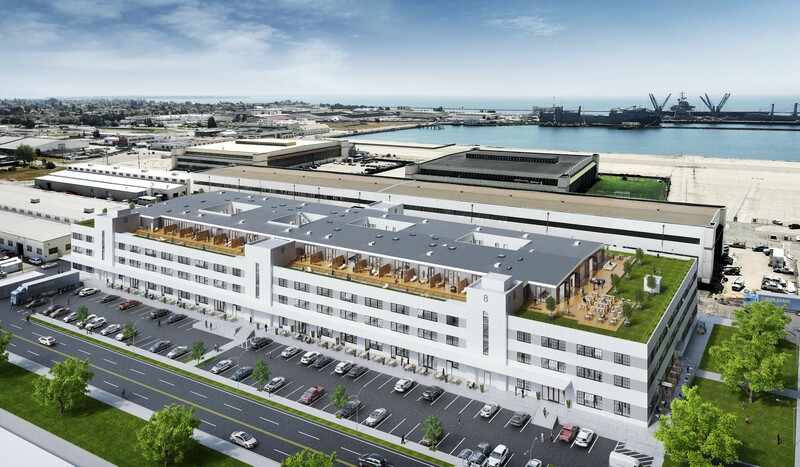 Hangar One, St. George Spirits, Faction Brewing, Rockwall Wine — these are just some of the companies turning Alameda Point into a food manufacturing center in the Bay Area. As the Point continues to develop, one upcoming project will contribute to the growth by providing live/work spaces and up to 40 units of commercial kitchen space. developers behind the Berkeley Kitchens, Jonah Hendrickson, who took a historic and unused site in West Berkeley and turned it into a food incubation space. After the Berkeley Kitchens was completed in 2013, Hendrickson started looking for a new project. He knew there was a demand for this type of space. “I wanted to produce more of it,” said Hendrickson, who grew up in Berkeley. About three years ago, he started working with the City of Alameda to turn a former Navy warehouse called the General Storehouse into usable space. In total, 300,000 square feet will be turned into a mixed-use space with the entire ground floor devoted to rentable kitchen space — enough for up to 40 different companies or entrepreneurs. The developer group, Alameda Point Redevelopers, is led by Hendrickson and Adan Martinez, formerly of Cushman & Wakefield Food and Beverage Practice Group. 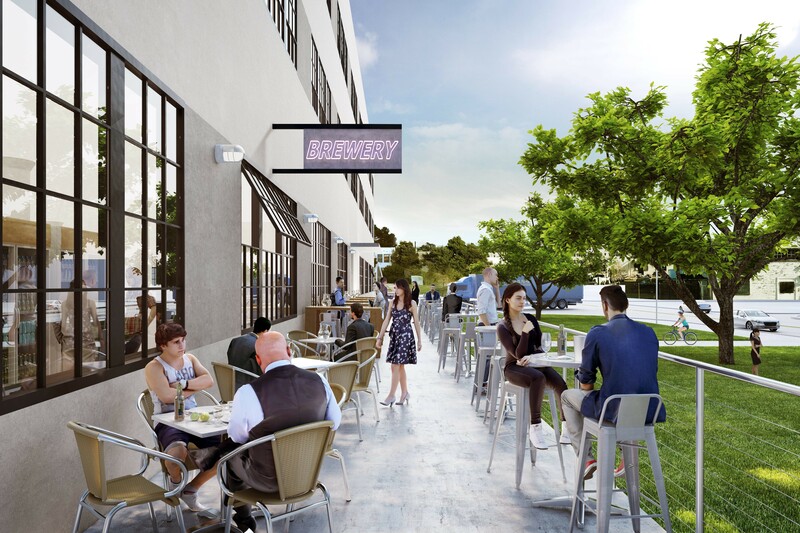 The rooftop might feature a beer garden. The bottom floor will be leased for food production and manufacturing, with features such as washable walls, commercial hoods, floor drains, dock loading, and space for a potential cafe or other retail business. The second and third floors will include 88 live/work units. They hope to add a rooftop deck and beer garden with views of the bay. Hendrickson said they already have prospective tenants, including a gluten-free bakery and an olive oil company. Trish Baldwin, president of Stonehouse California Olive Oil, which has a storefront in San Francisco’s Ferry Building and also makes Williams-Sonoma’s Olio Santo line, is one prospective tenant. Her company is currently leasing office space at the Berkeley Kitchens, but they need a larger space where they can store containers to blend vinegars and oils. “I really can’t wait for it to open because it’s really hard to find reasonably priced space in the Bay Area right now,” said Baldwin, who is currently working out the lease. The ground floor should be ready by summer 2019. While the concrete building is being renovated, the General Storehouse will host Alameda’s first Mini Maker Faire in front of the building on July 8.